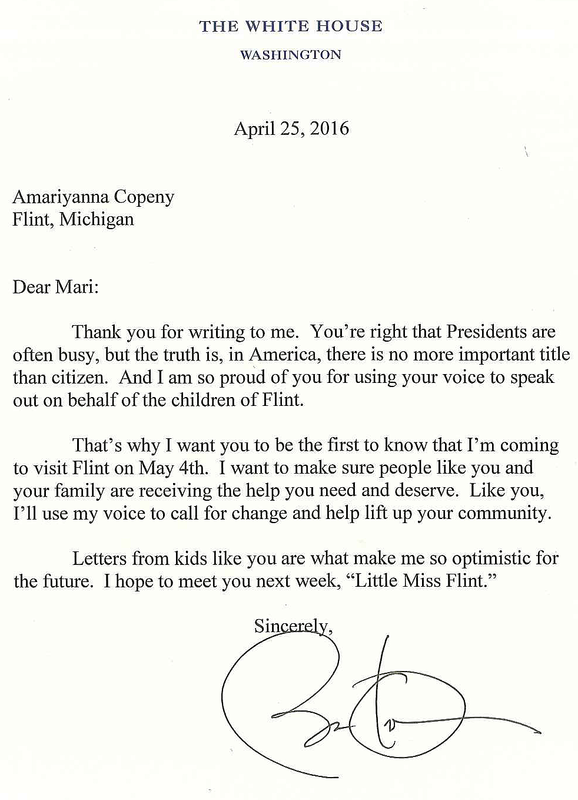 In response to a letter from an 8-year-old girl, affectionately nicknamed Little Miss Flint, President Barack Obama will visit Flint next week for a closer look at how the water crisis is still affecting everyday life in the 810. According to MLive, a White House official confirmed that the POTUS will be in Flint Wednesday, May 4th, to hear about the water crisis from residents and get a face-to-face update on the progress of federal relief efforts. President Obama also plans on addressing the community while here, but no further details have been released as of yet. 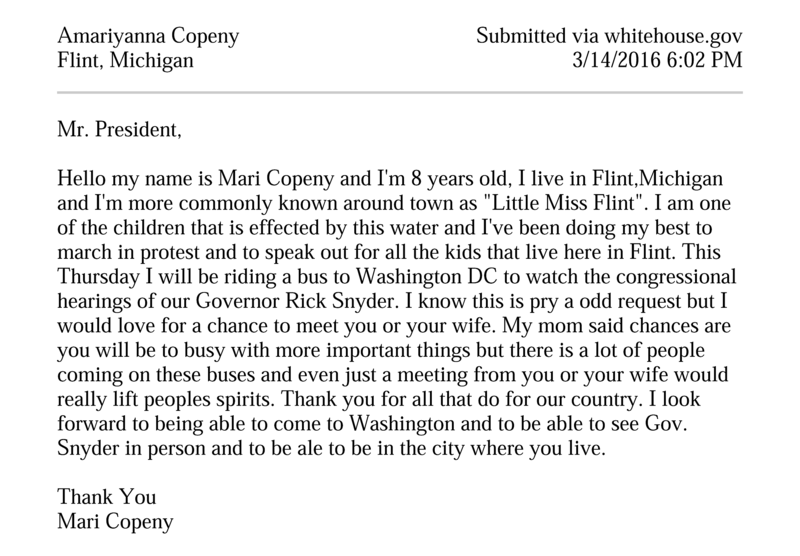 The White House official also confirmed that Obama's visit is in response to a letter he received from 8-year-old Flint resident, Mari Copeny, aka Little Miss Flint. You can see her letter, as well as the president's response below.